I'm a girl who loves a deal and likes to brag about it. Where there’s a will…there’s a yay! 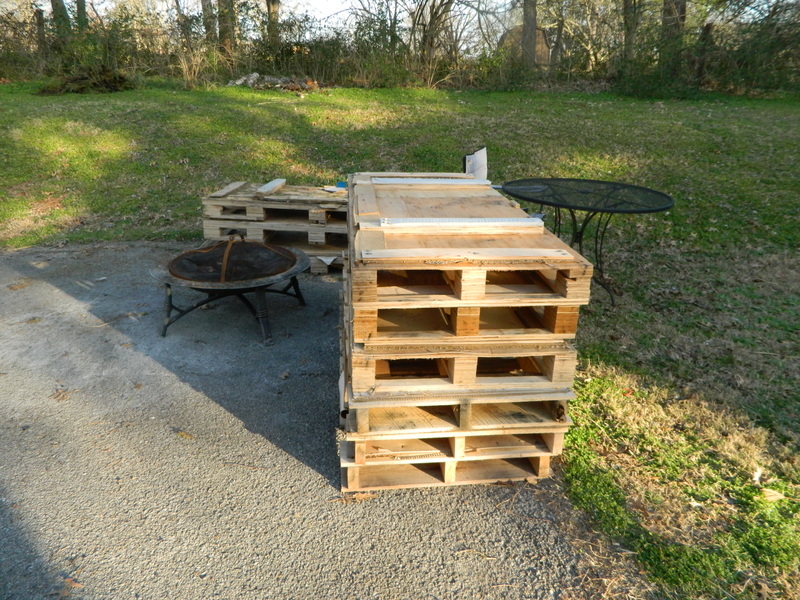 Ok, so remember a few posts back when i made my husband get all those free pallets off of Craigslist? Well today i was determined to make something out of them! FYI-my husband usually takes an average of 2-3 months to get a “project” done, unlike me, i want to do everything NOW! The most frustrating part of my house is all of the shoes and socks that come off my children’s stinky feet and how they go everywhere! 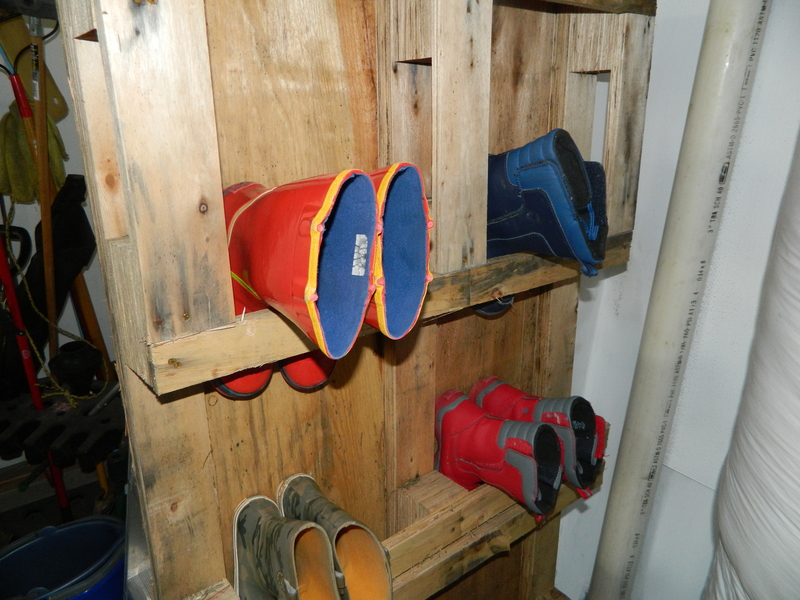 I have 3 boys and they each have a pair of rain boots and a pair of snow boots (among other shoes, tennis, crocs..) and those 12 boots take up a lot of room in my laundry room. The floor is usually covered with shoes until today! I have made an invention that cost me $0.00 and solved my biggest pet peeve of all time! You’re now probably wondering, “how did you make this?”. It was a lot of blood, sweat and tears. Um, no, not really. 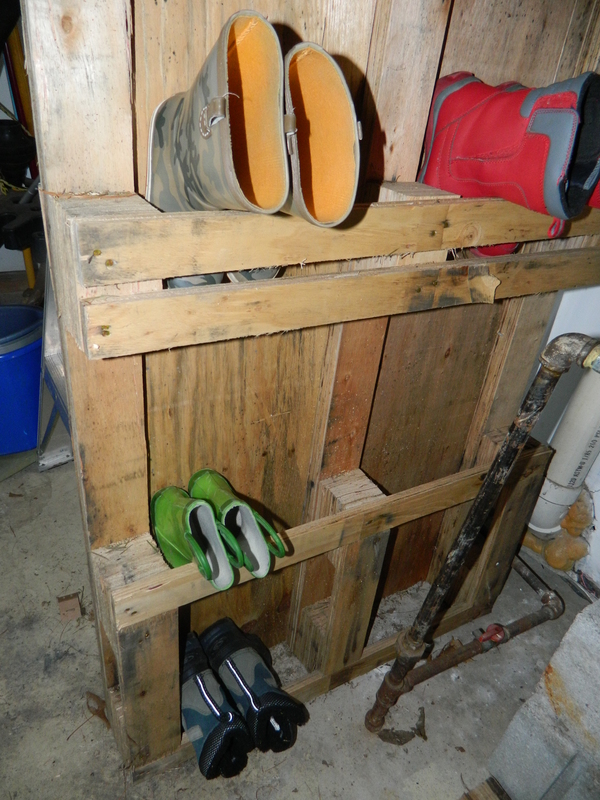 I, literally drug a pallet from my driveway (see pic above) and set it on it’s side against a wall. I know, i need to apply for a job with the home makeover show. 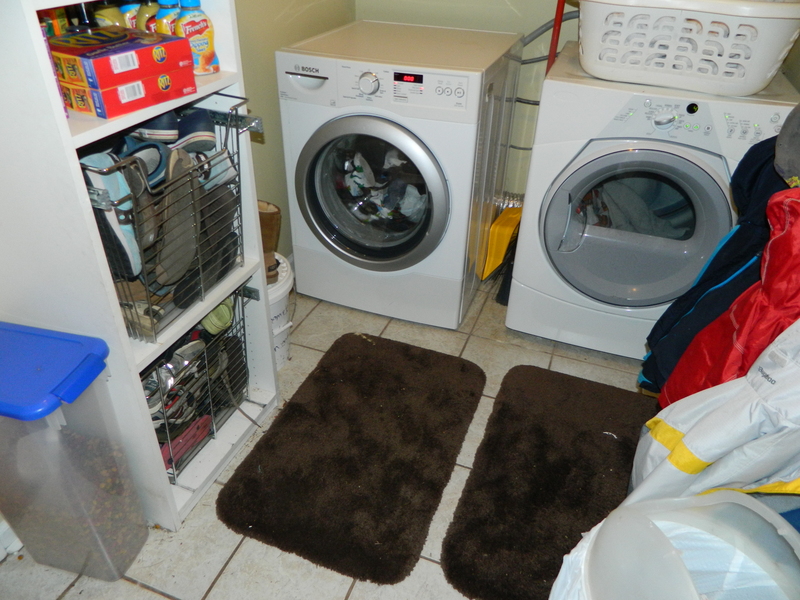 I wish i would have taken a before picture of my laundry room with all the boots covering what little floor space is in there, but at least i took an after picture. Again, excuse my messy laundry room (well, not as messy laundry room now). 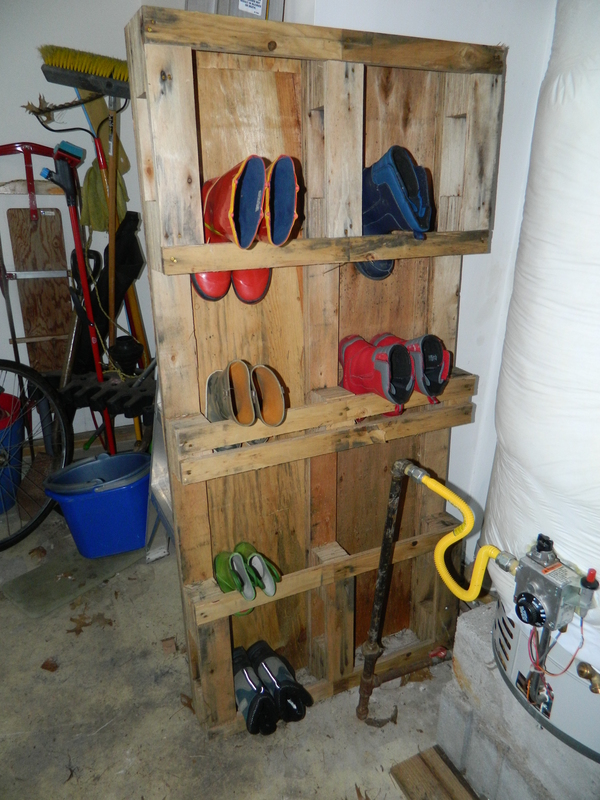 See the two very full baskets of shoes already (and laundry going and part of my coupon’ing stockpile…)? Yeah, the boots just made it a mountain to climb over in there. I couldn’t be more proud of my stupid simple creation! Have you ever made something that was super simple and fantastic? « Kale! Oh, mustard greens. Click for some crayon fun! Want to update your patio with no $? The days of my life.